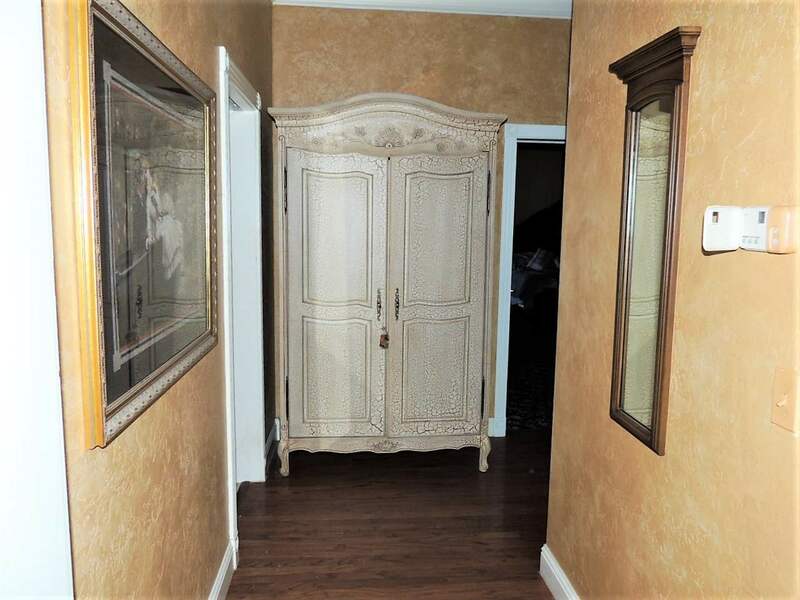 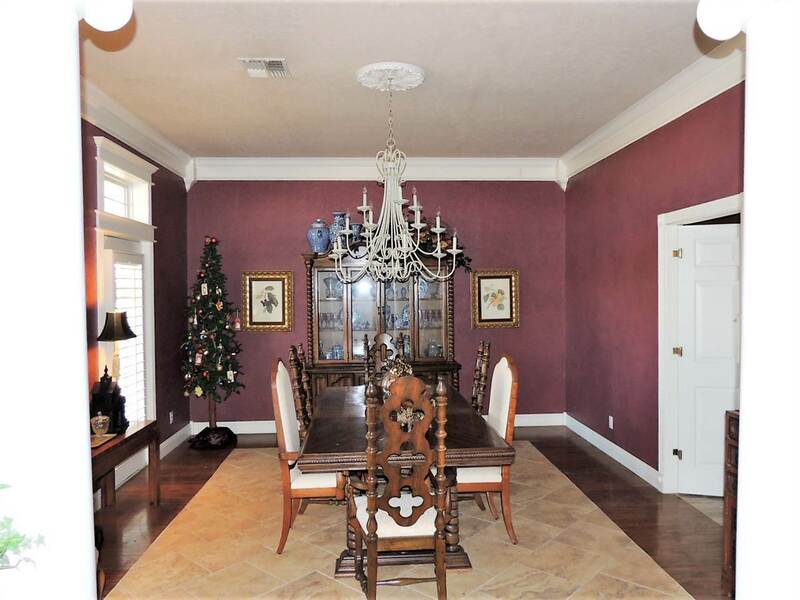 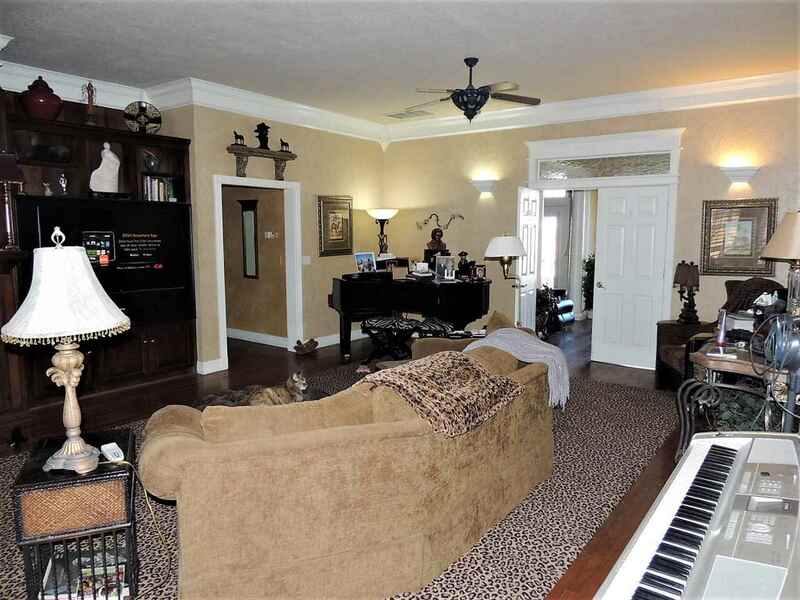 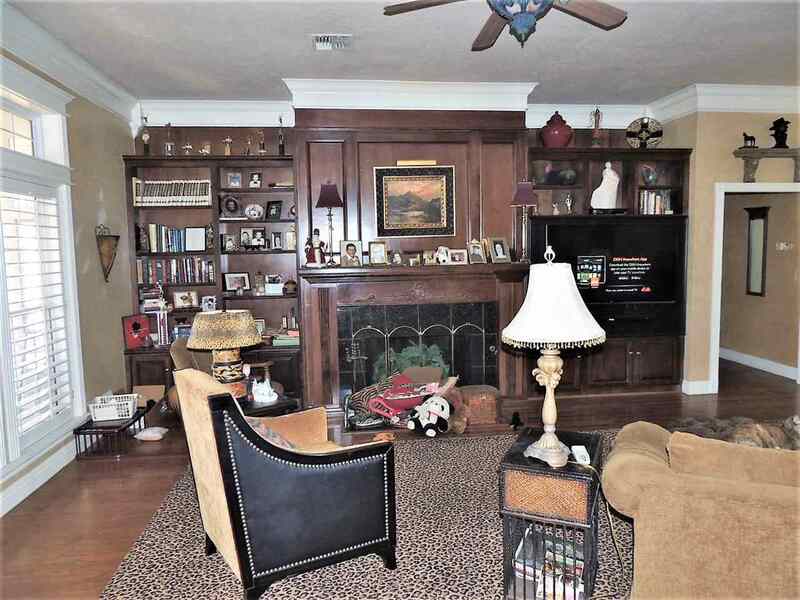 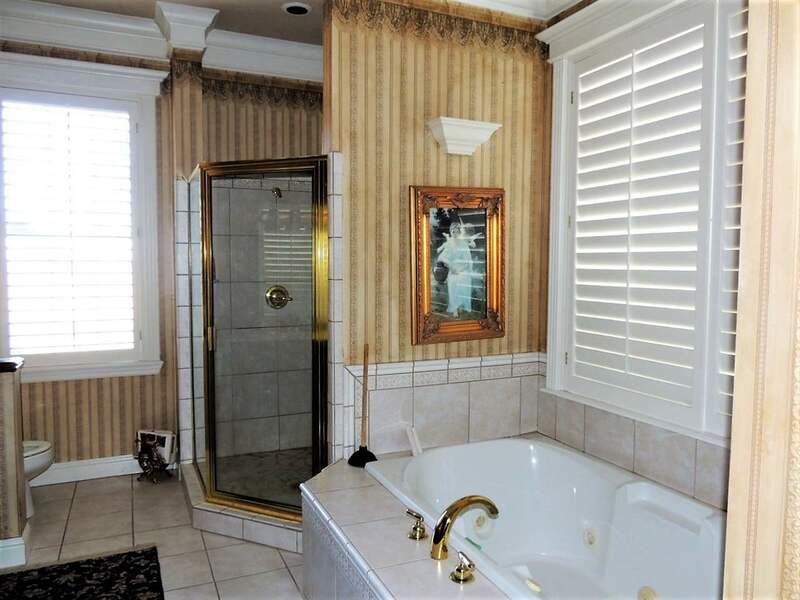 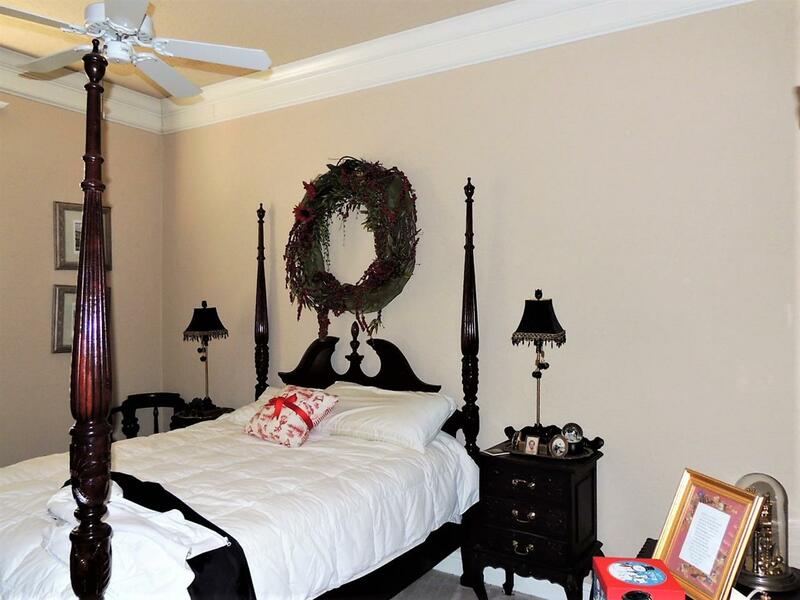 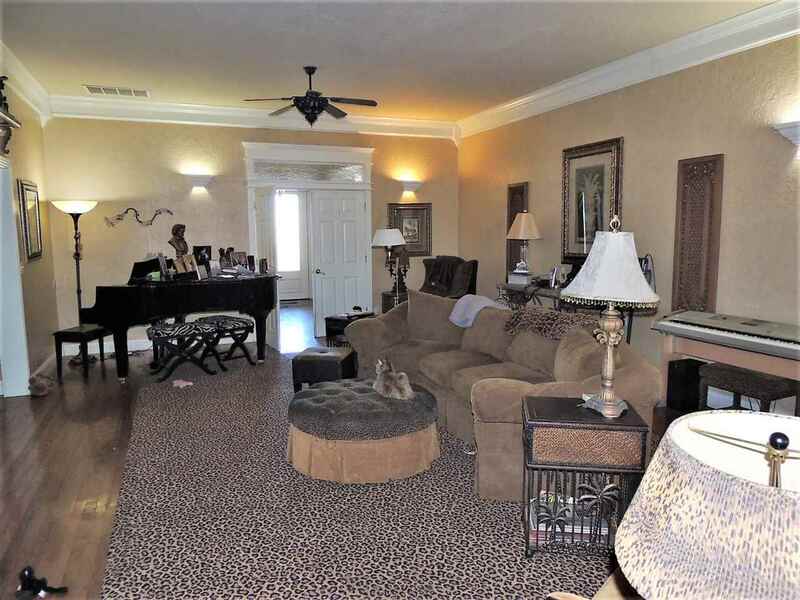 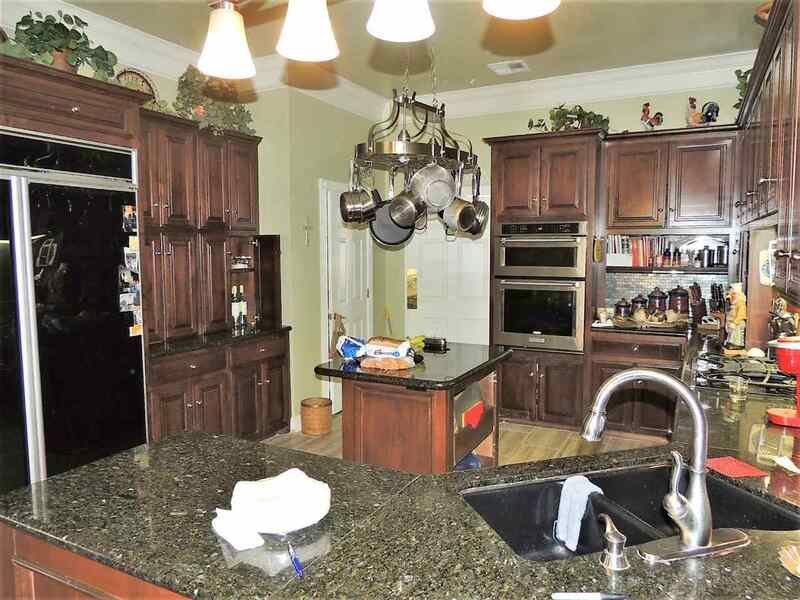 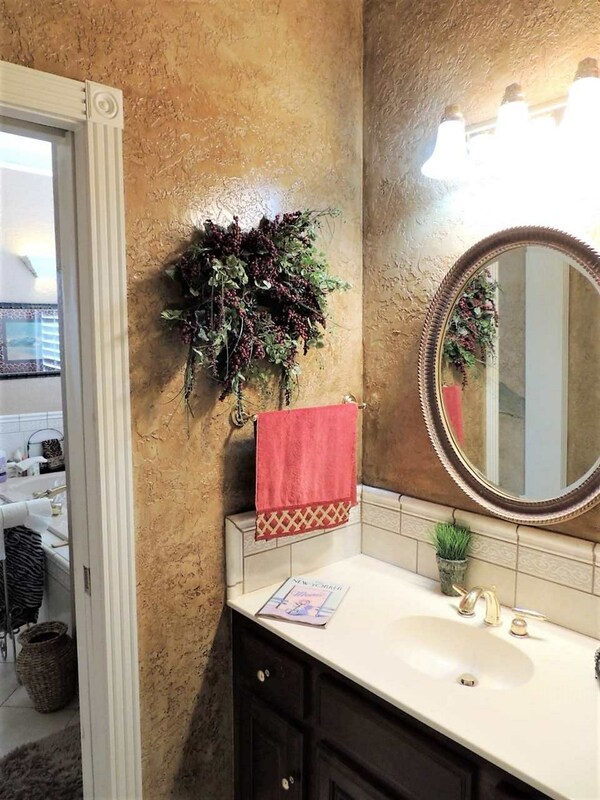 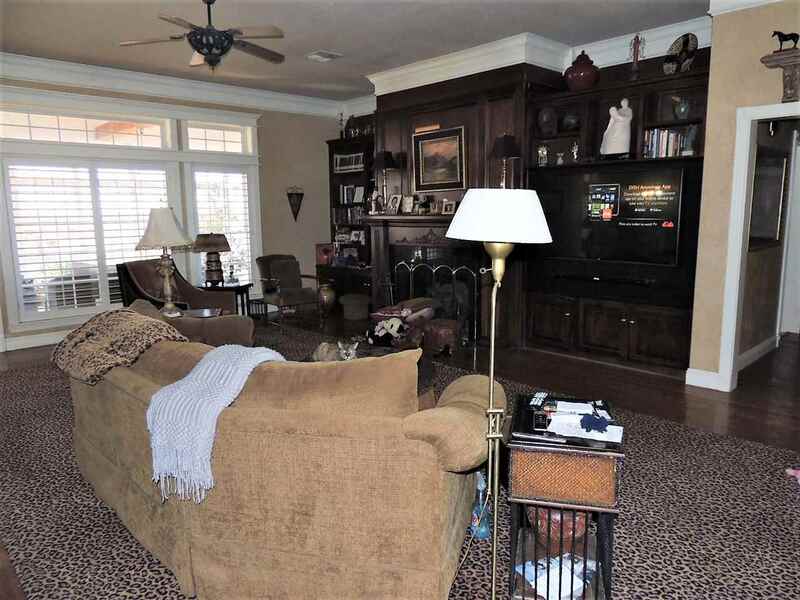 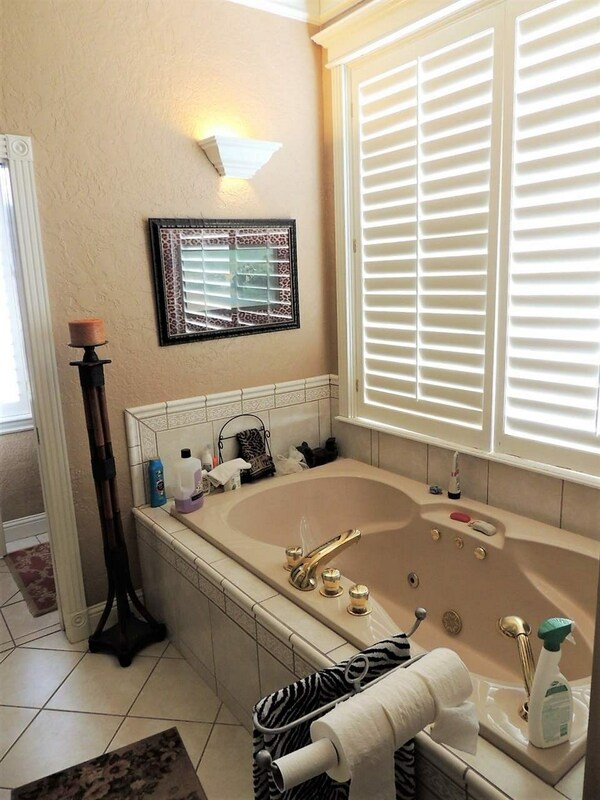 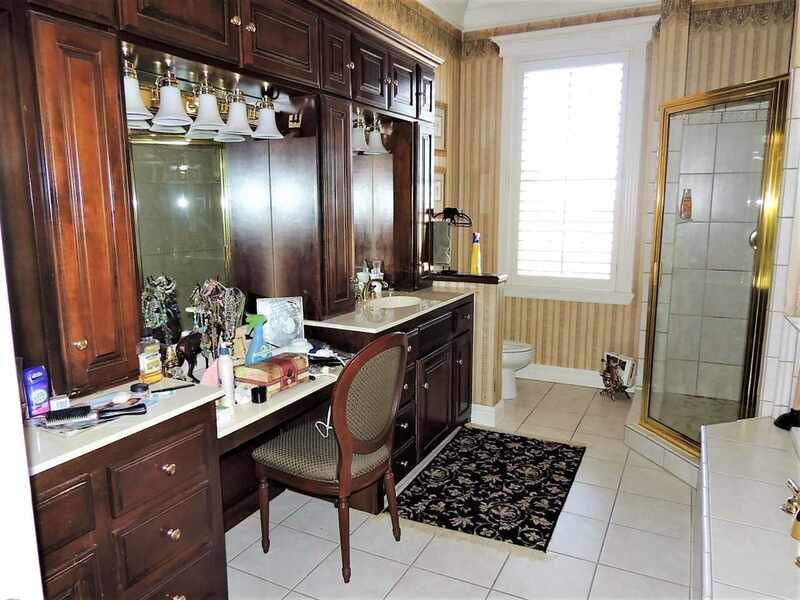 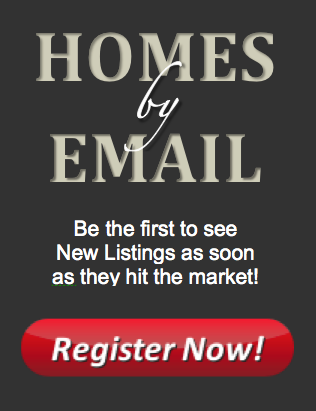 Come see this impressive, custom-built, one-owner home on approx. 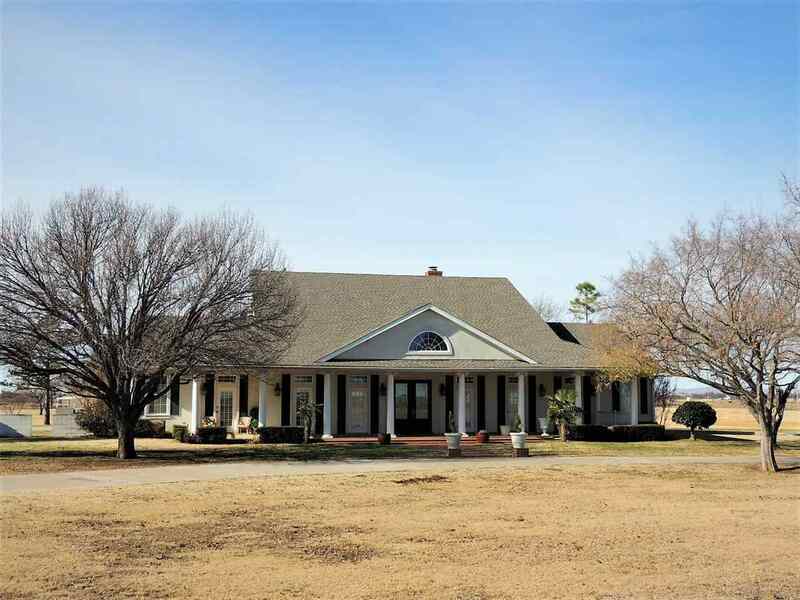 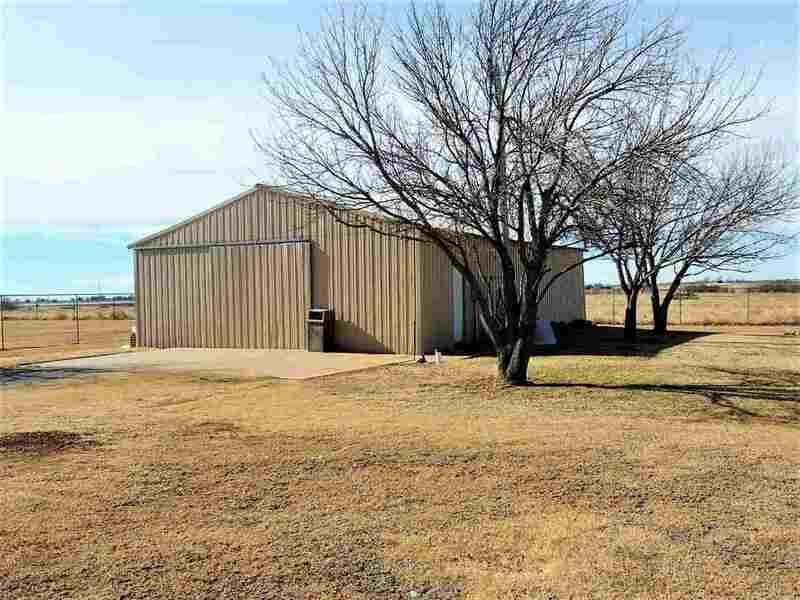 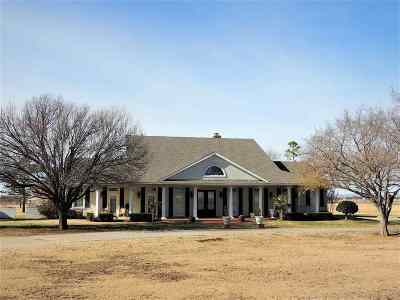 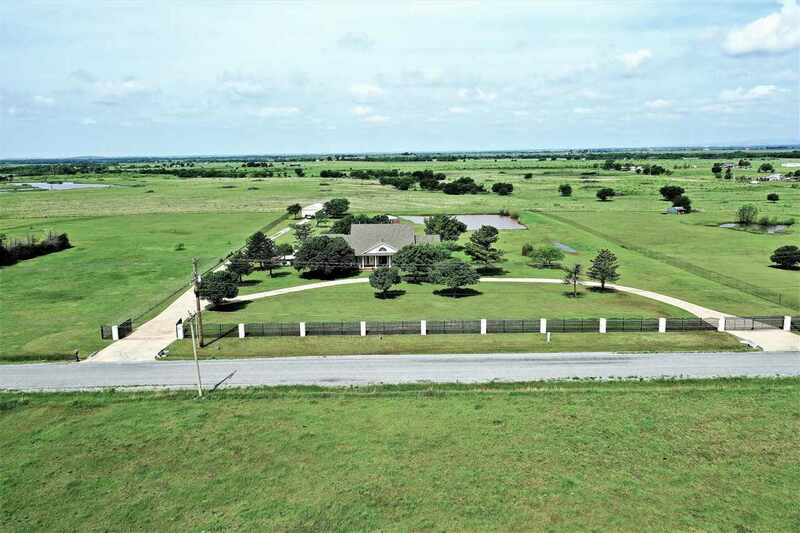 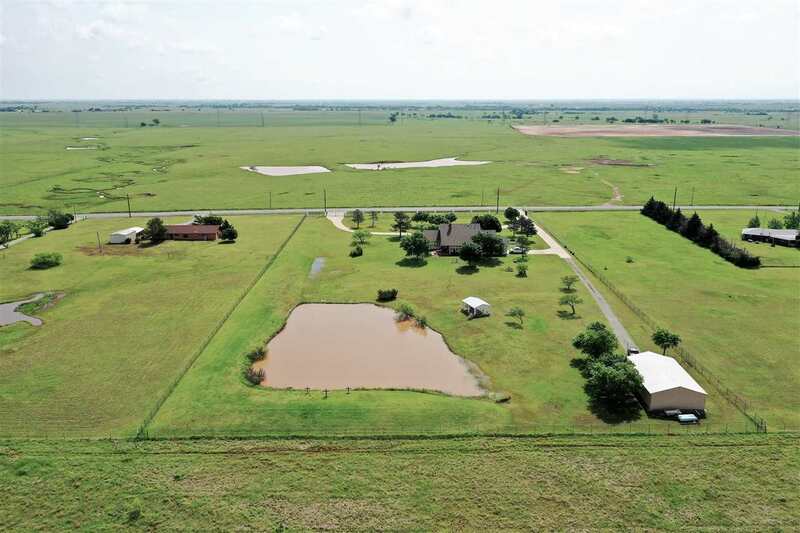 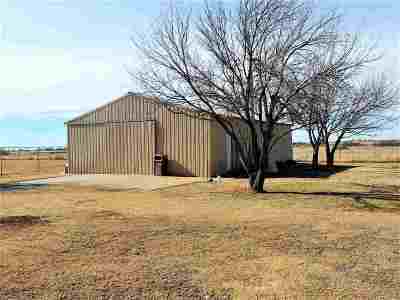 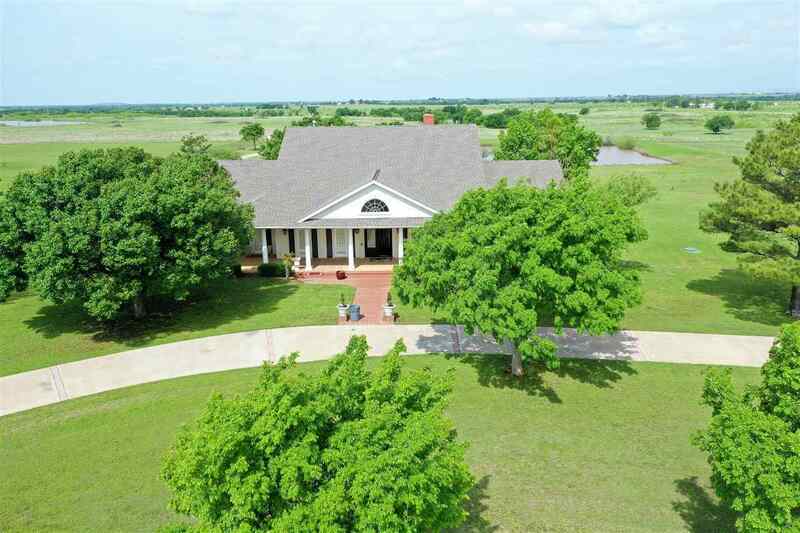 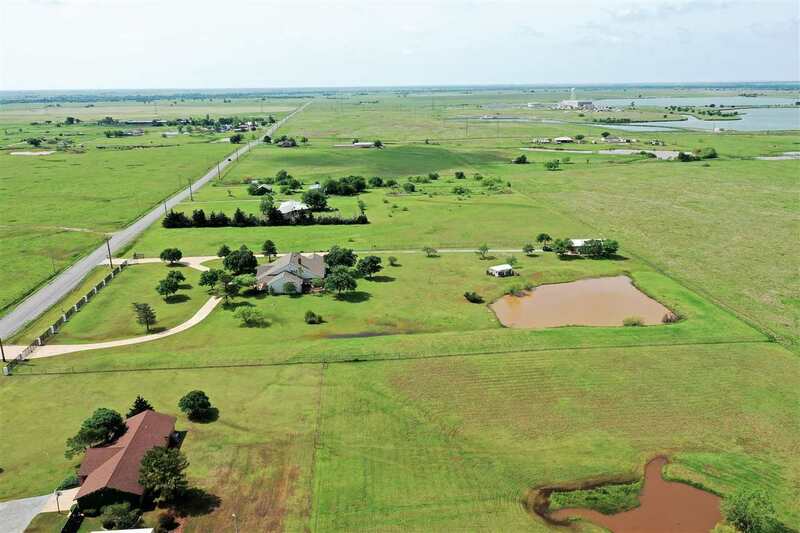 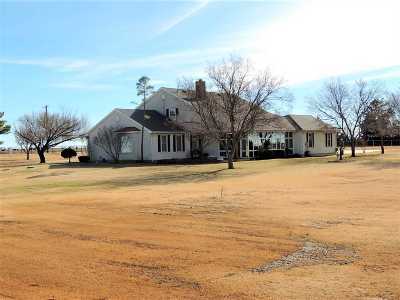 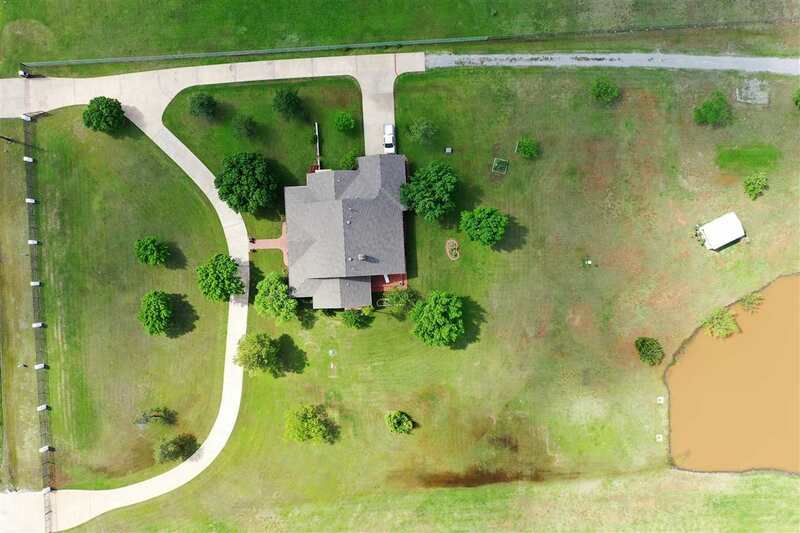 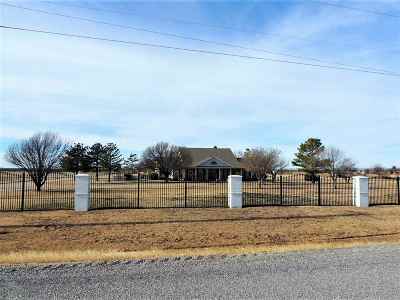 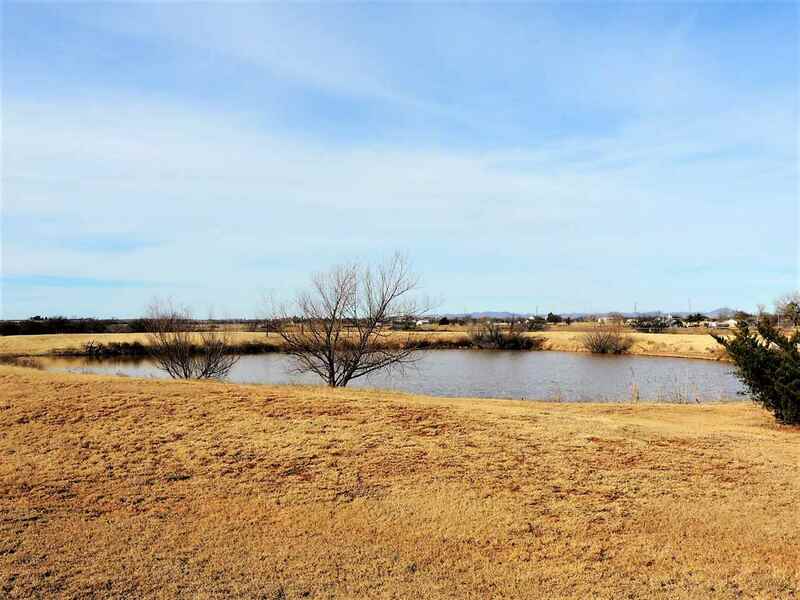 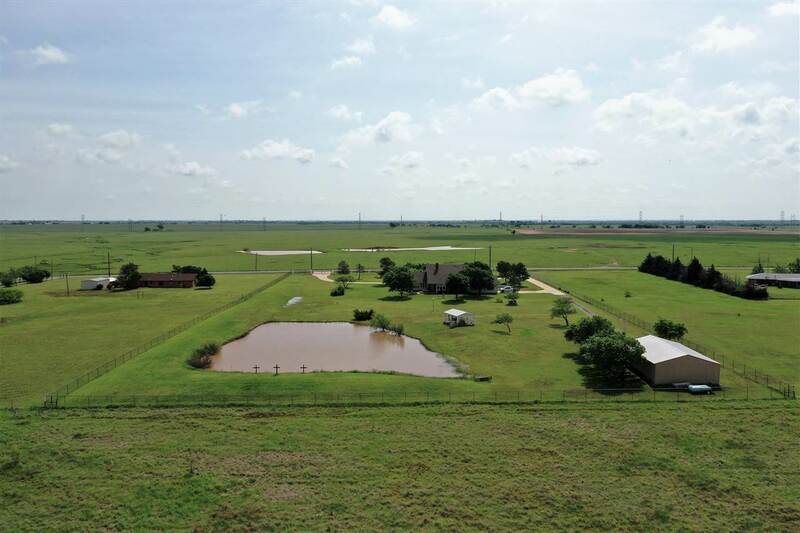 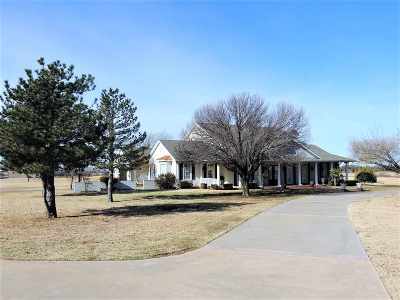 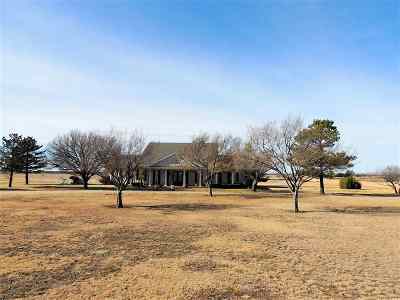 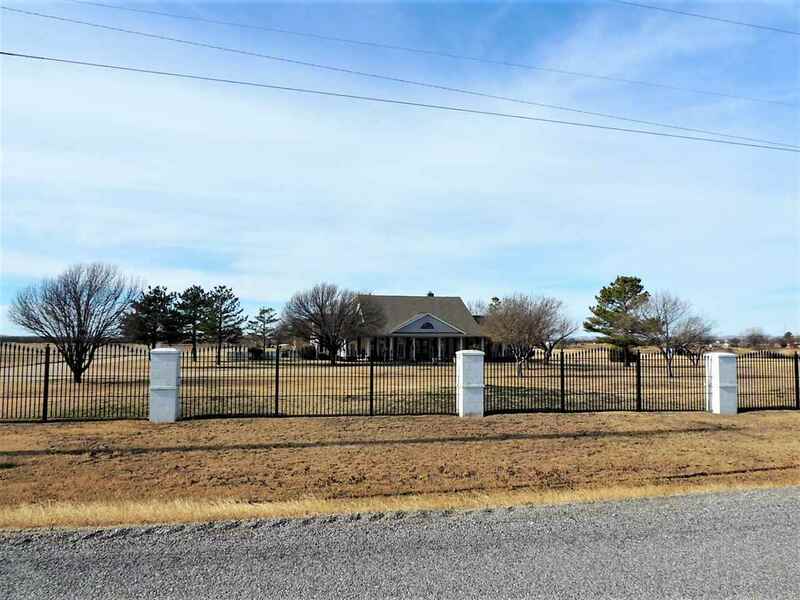 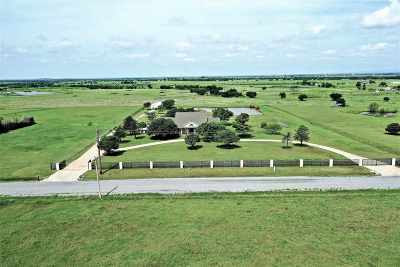 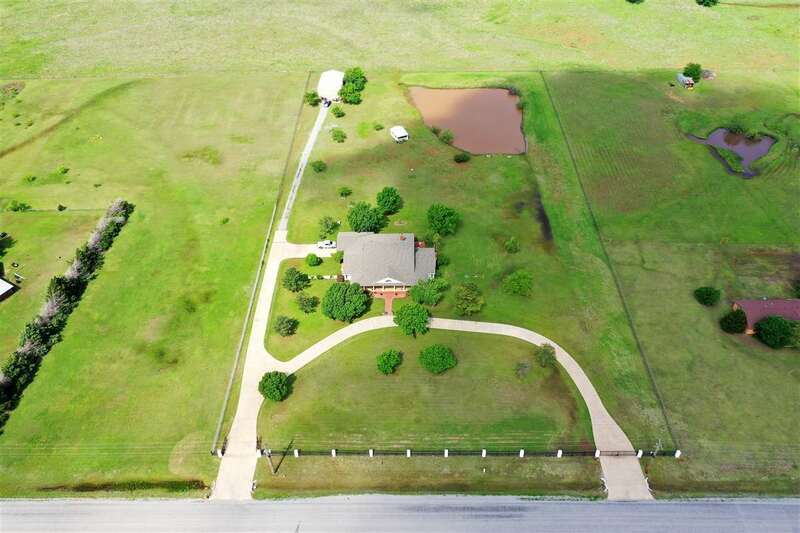 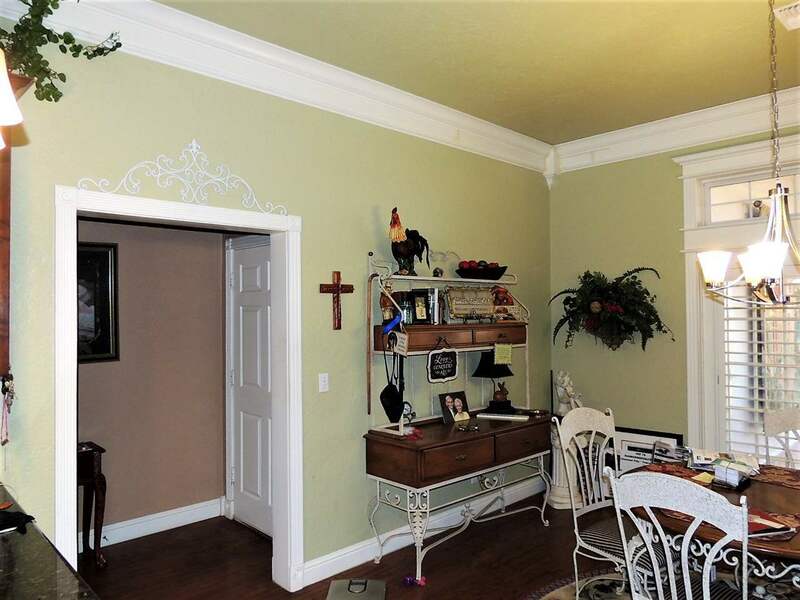 5 acres in rural southeast Lawton. 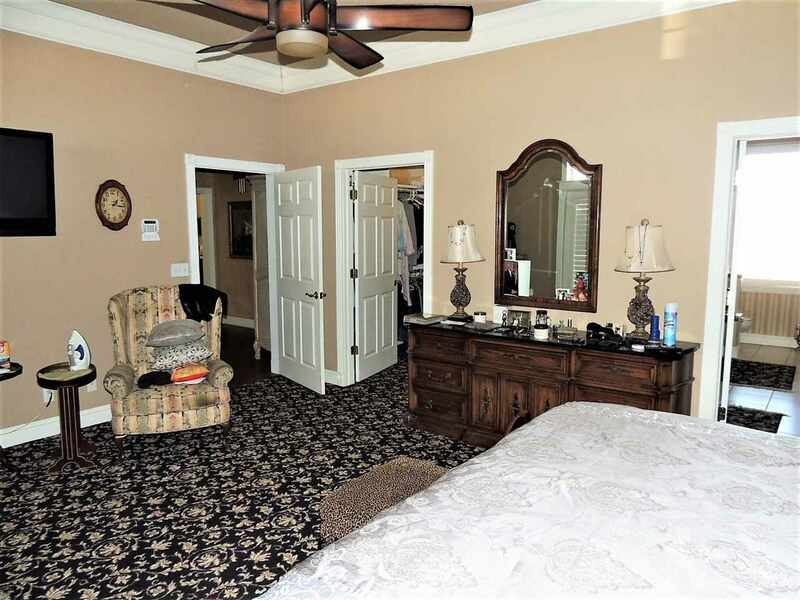 Inside amenities include a large shower and whirlpool tub in the master suite; 8 foot ceiling throughout; formal living and dining; extra large den with gas FP; large crown molding; 2 natural gas fireplaces; oak wood floors; large Florida room with wood floors; granite countertops; kitchen island; plug-ins and lights inside kitchen cabinets; gas cooktop; pantry; KitchenAid appliances; and central vacuum. 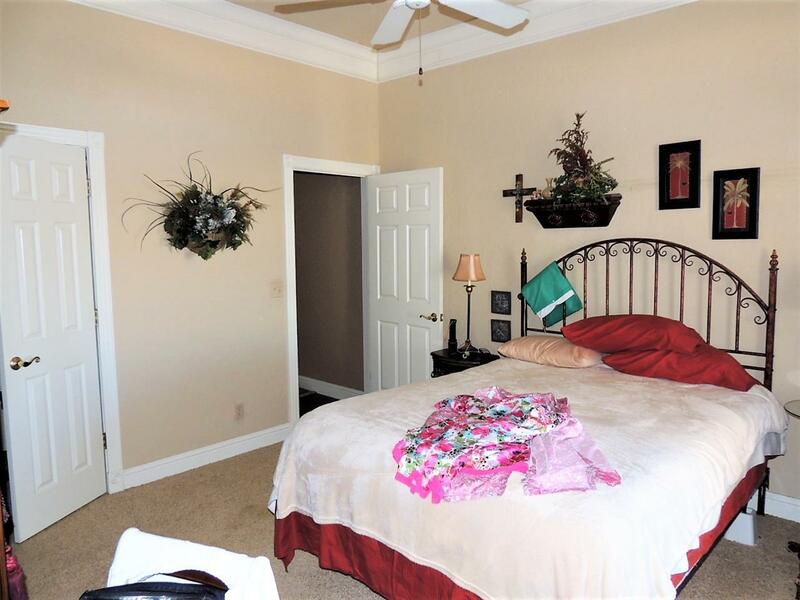 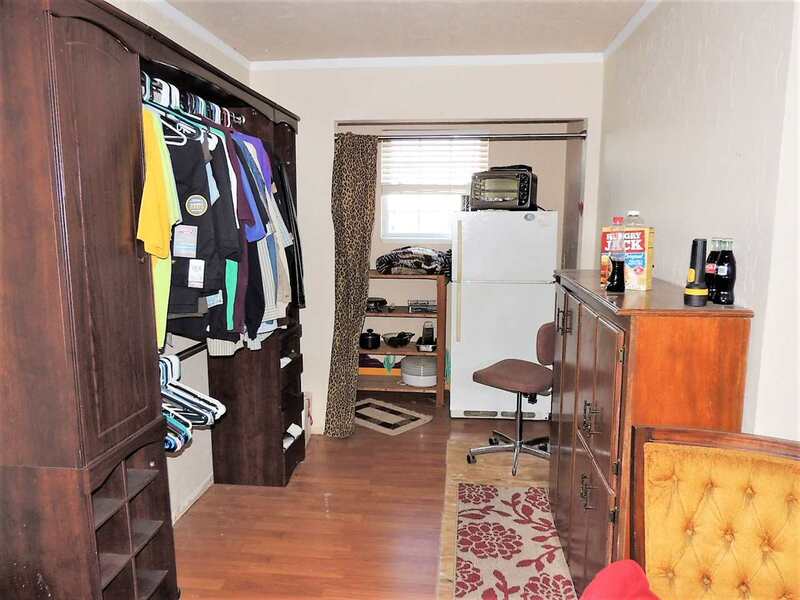 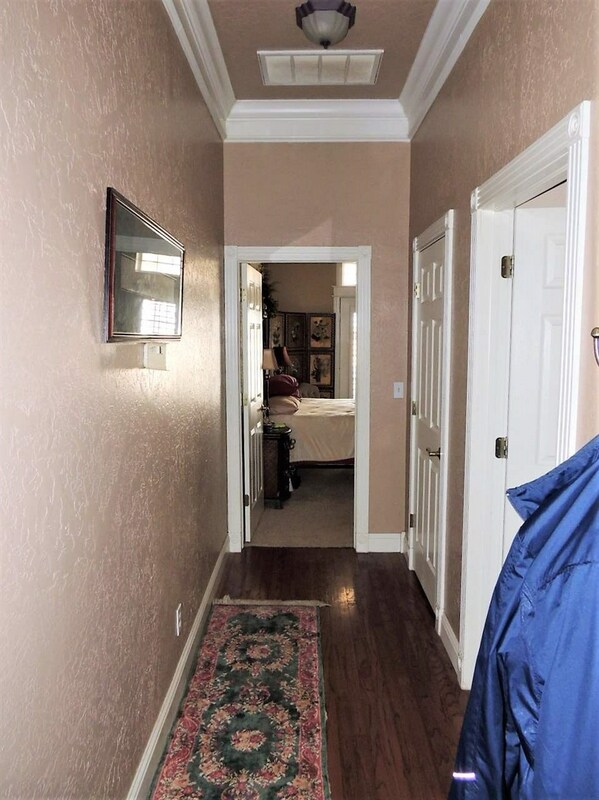 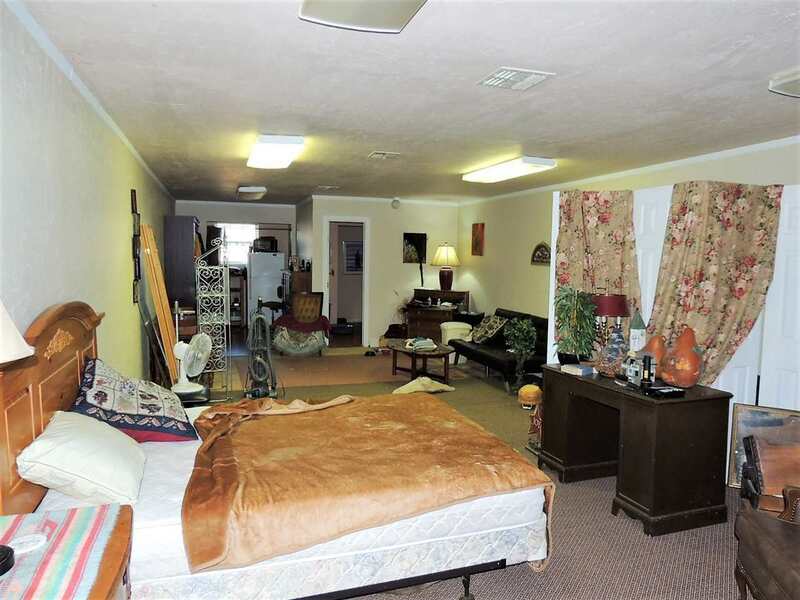 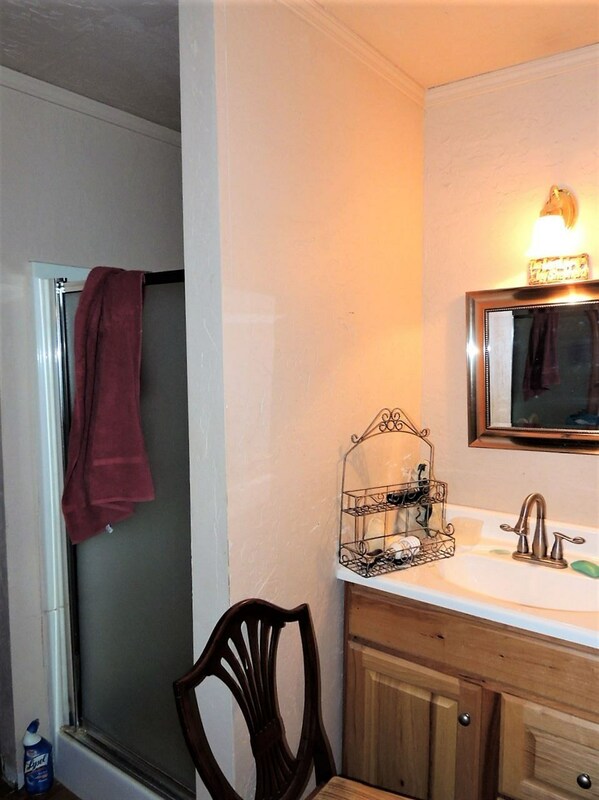 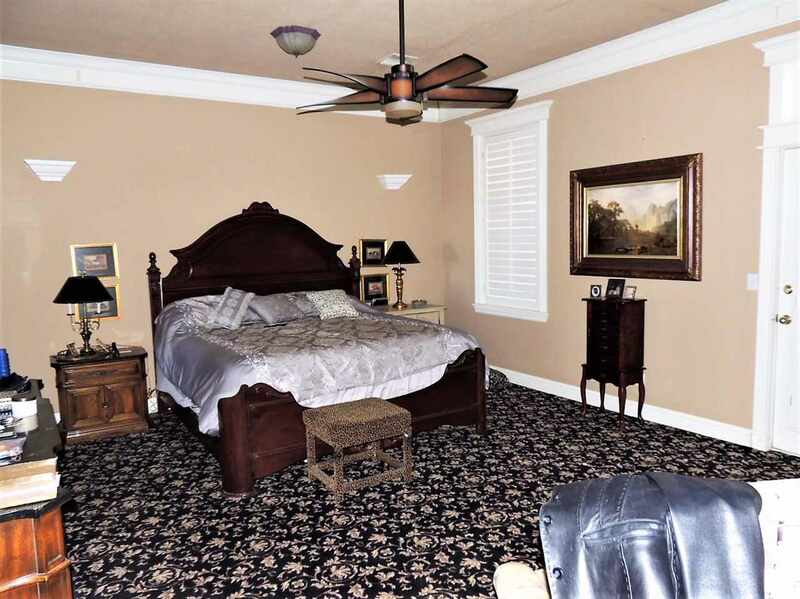 Upstairs has 16 x 42 room with 3/4 bath that could be used as an efficiency apartment for guests, with access through the garage. 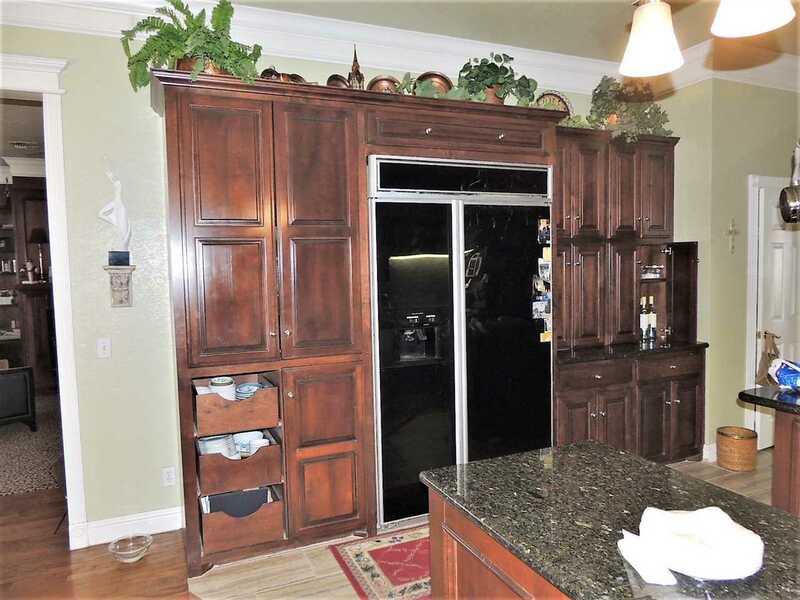 Home has an oversized 2 car garage. 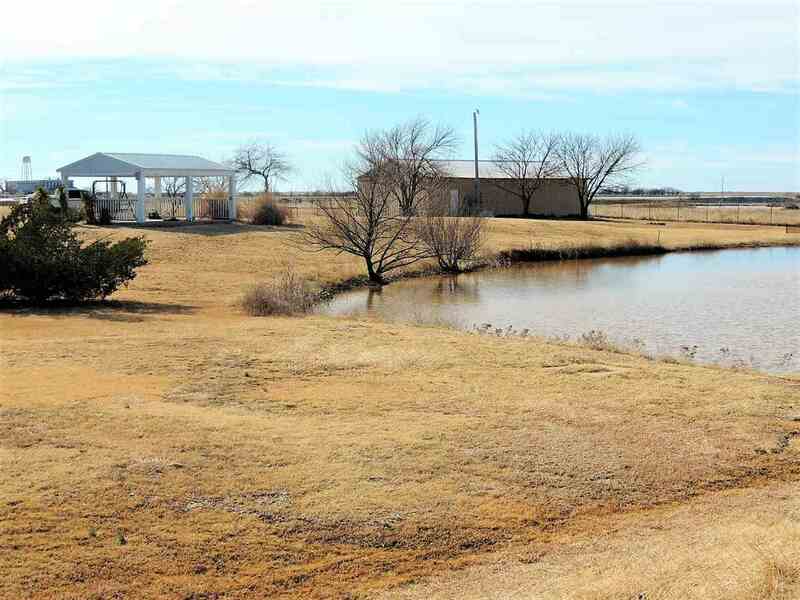 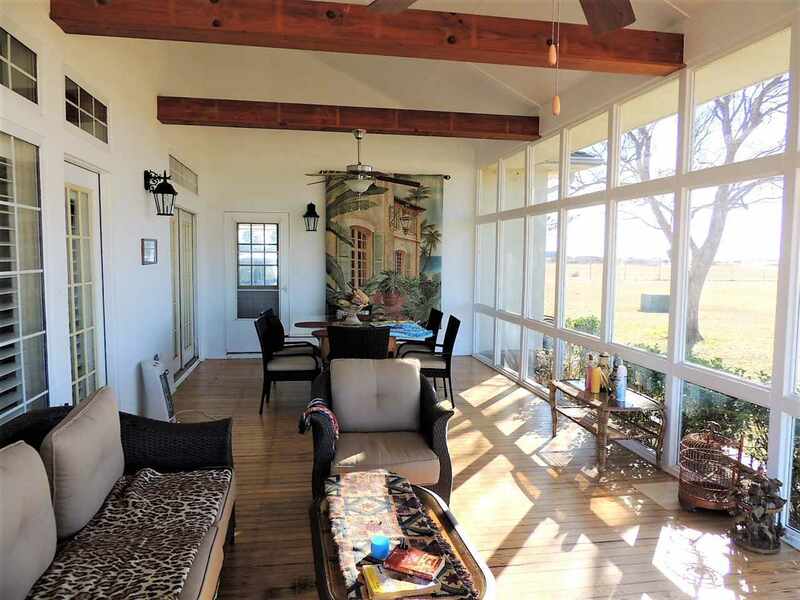 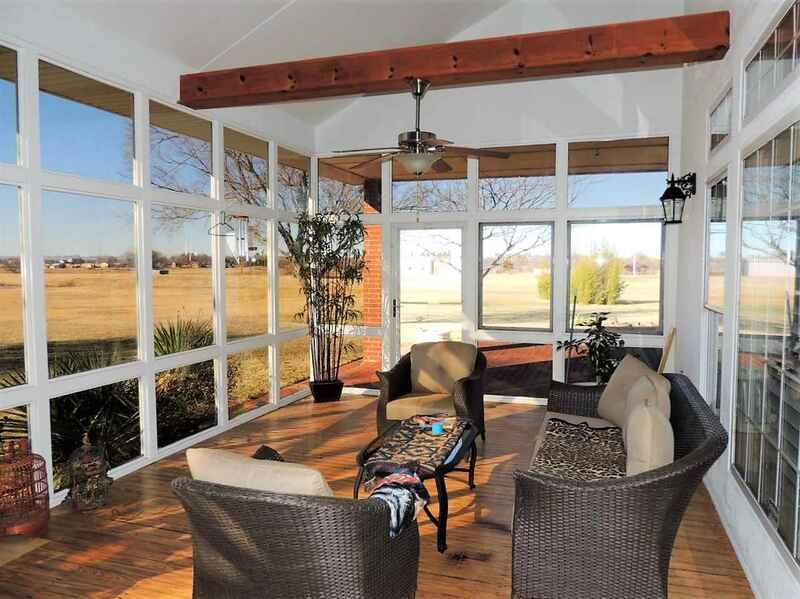 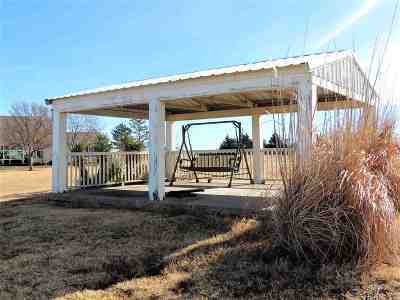 Outside amenities include a 5&apos; chainlink fence all around property; a stocked pond with a pavilion; and a 30&apos; x 50&apos; barn.